Life After Baseball: Try It Tuesday...Taco Night! Most Tuesday nights we have tacos. 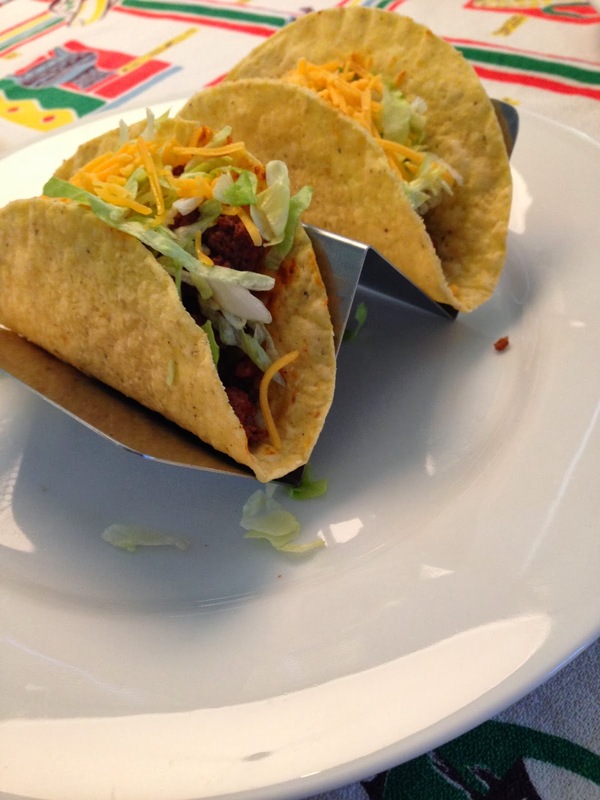 It's quick, easy and I just love saying Taco Tuesday. It also gives me a good excuse to use my vintage mexican table cloth that I found years ago at an antique store in Nashville, Tn. Summer taco nights are usually more fun because we typically put margarita's on the adult menu. Anyway I just recently added these taco stands to the festivities and I think you should definitely gives these a try if you're mexican fanatics like we are. The kids think they are great and well...so do I. 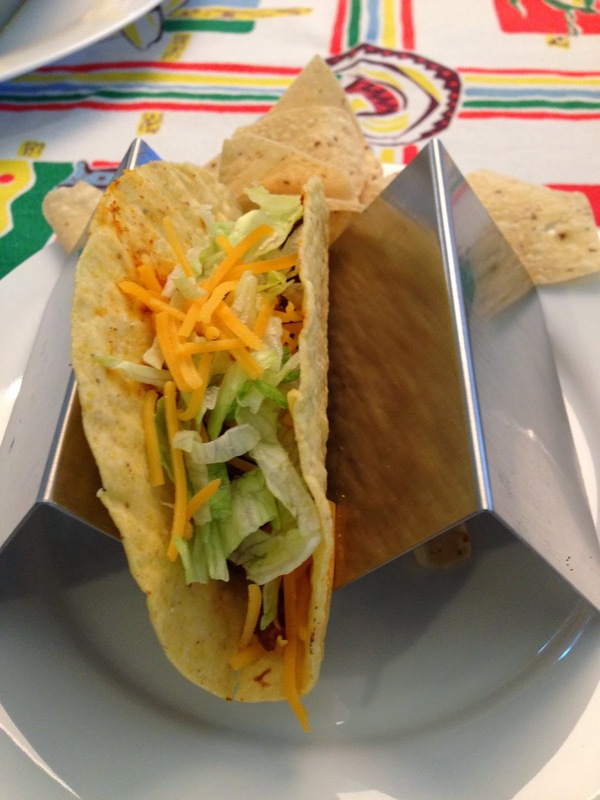 One side holds two and flip it over if you're just having one taco. I prefer the metal over the colorful plastic. You can find them here or I'm sure any restaurant supply store has them as well. That tiny little sombrero cracks me up. I'm picturing you setting the table, wait a sec I need the mini sombrero to complete the look! LOL Table accessories. Love it! Tracey M.
Super cute taco stands! Love how it really elevates the presentation. Yum! 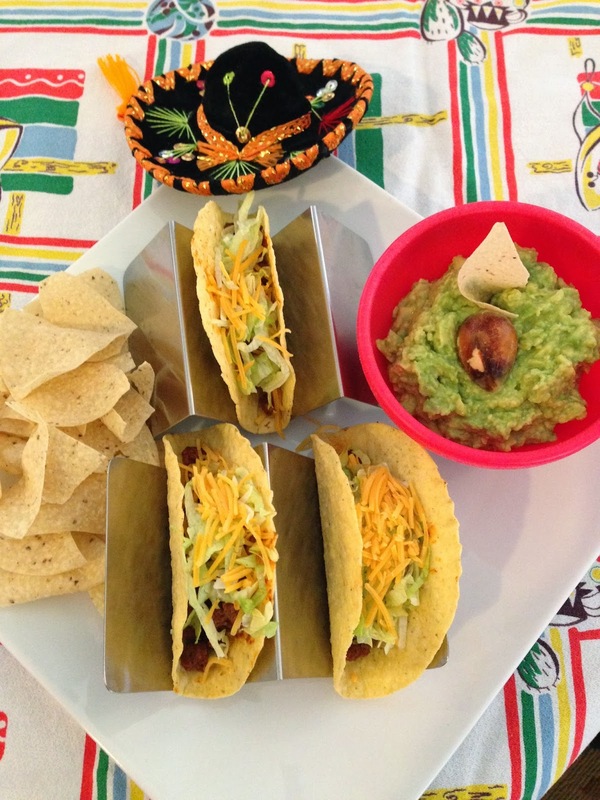 Taco nights are a family fave around here as well. We need to go to Milagro the next time we shop. Have you tried it yet?